Napa Valley is one of my favorite places on earth. I'm fortunate to have visited wine country with my girl friends throughout the years. When Bryan and I met and began working/traveling together we had a couple opportunities to visit Napa and we always had memorable, tipsy, relaxing and romantic times in the area... hence why we got engaged there! Wine country is special to us. We try our best to not decorate our home from just Pottery Barn, Pier 1 and Home Goods. I live for those places, but we want character in our home too. We want our decor to tell a story of our experiences. I learned this from my parents -- everything in their house brings back a memory and tells a story. From the very 1st time we went to Napa we began collecting marble tiles from wineries we visited. I knew that I wanted these tiles to be coasters in our future home... when we lived together. As a bridal shower gift and a suprise, Bryan's dad made us 2 wooden holders to display our coasters in. He does gorgeous woodwork and the coaster holder came out perfect. 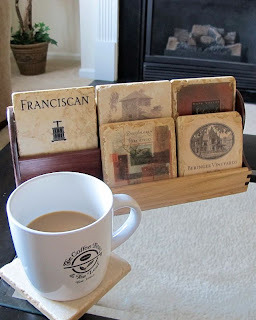 I love that he didn't just make your typical coaster holder, for he made one that displays our coaster, our memories, just beautifully. 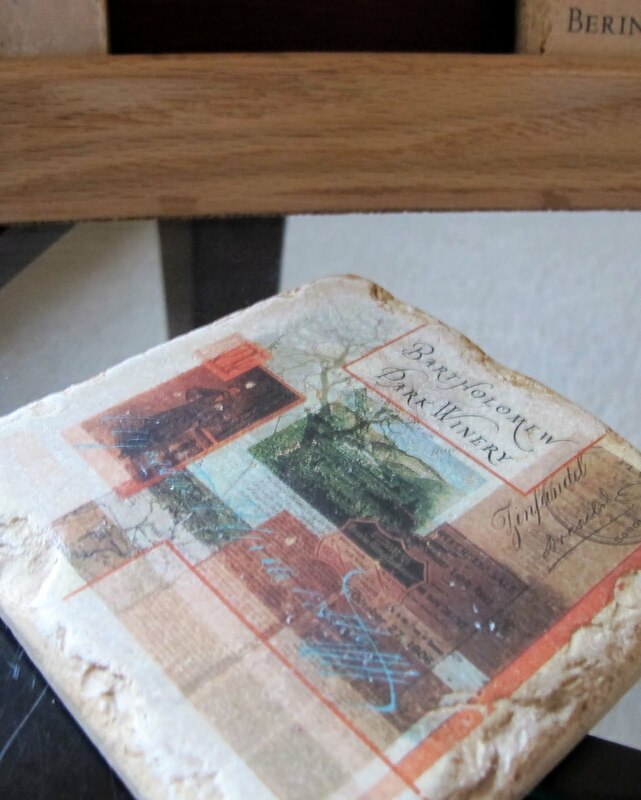 The most special coaster, that always sits in the bottom center of the holder is this one. 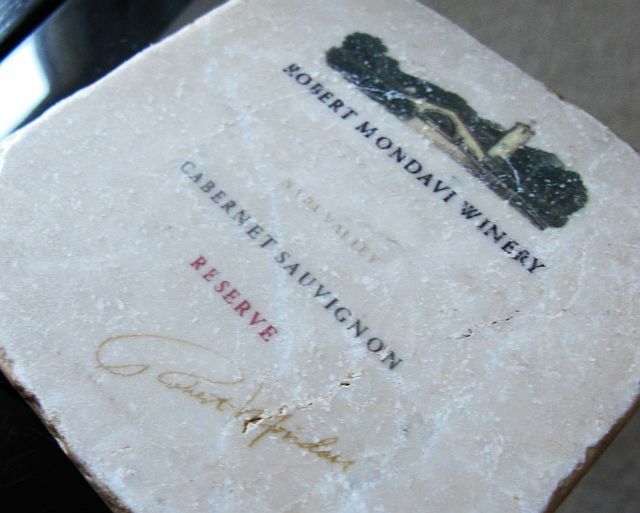 Bryan and I were engaged at Bartholomew Park Winery and we bought this tile just moments before he proposed! 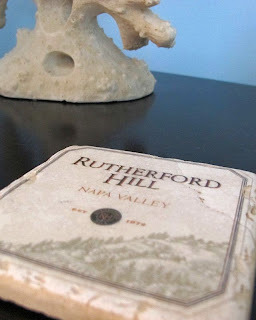 We also keep a winery coaster on each of our nightstands. Making memories is what Bryan's and my life is all about. Remembering them is the hard part. My father-in-law is such a talented man and we will have his gift on display forever. I'm sure it will make Russ very happy that you are using his coaster holders - he put a lot of love into making them! It was so sweet of you to acknowledge his talent.